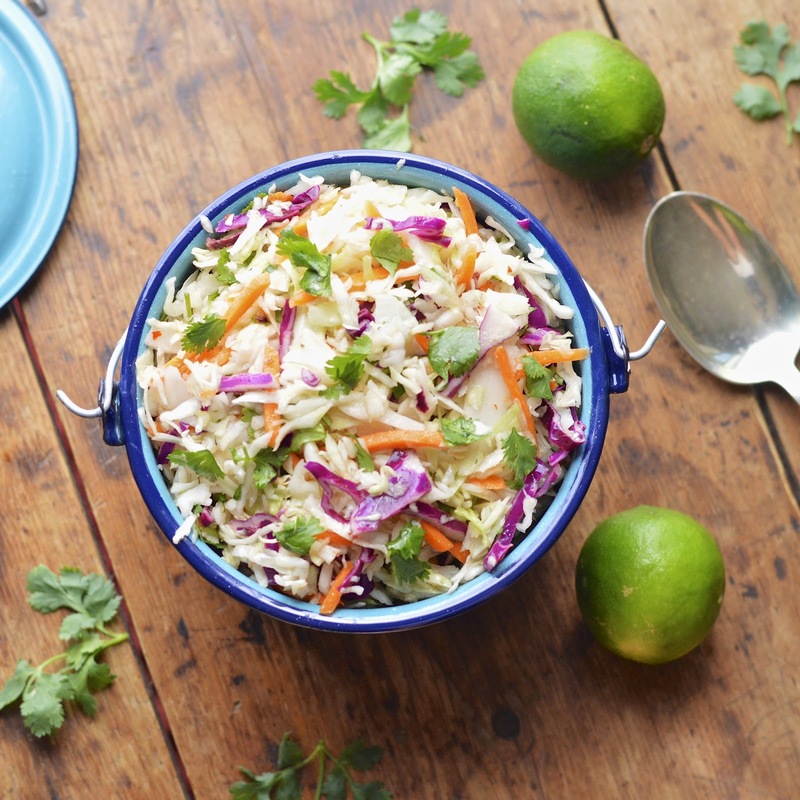 This spicy and sweet Mexican cole slaw will brighten up any summer dinner with vivid colors and flavors. 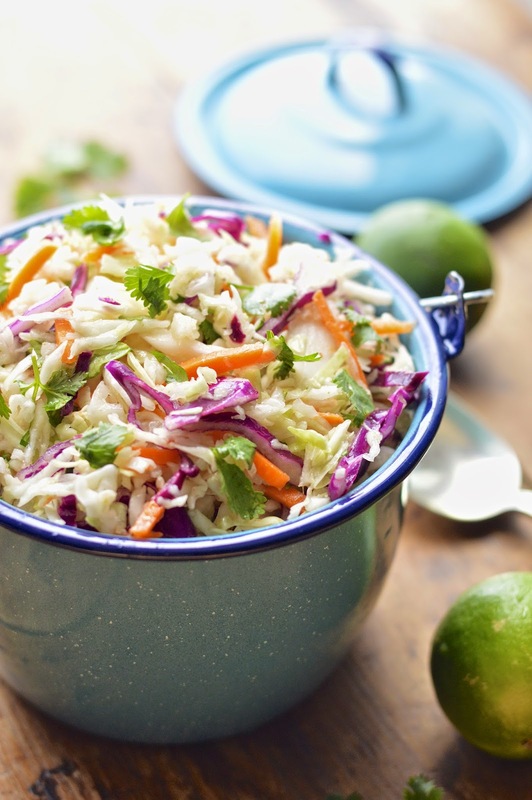 Fresh summer entrees require fresh summer side dishes. This sweet and spicy Mexican cole slaw is incredibly easy to make and a lot lighter than your average creamy slaw. The bursts of Mexican flavor from the cilantro, cumin and hot sauce make a tangy and crunchy dish that highlights any meat, chicken or fish. On the subject of summer; I have to admit it gets a little hectic around here. You would think our lazy summer days under the San Diego sunshine would be restful and idyllic. Think again. My whole schedule gets thrown off while having the kids around. I love them to death, but it’s easy to get off course. This week my sweet Eva is suffering from an eye abrasion, which has led to a lot of doctor visits and time spent trying to make her feel better. We’ve also had basketball games, basketball practices, field hockey games, field hockey workouts, visiting friends and family and a couple medical emergencies. My inner child just wants to spend everyday at the beach jumping through the waves and building sandcastles! Is that so wrong? However, my adult self knows I have responsibilities and serious tasks to complete. 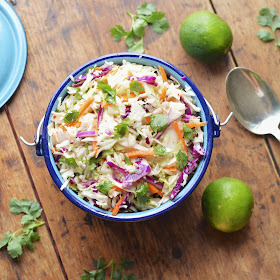 Therefore, this easy Mexican slaw makes my life just a little easier and calmer. 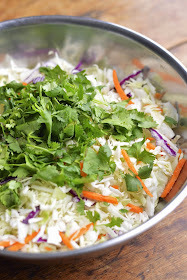 I used a bag of pre-shredded cabbage and carrots (cole slaw mix) and added my own dressing and fresh herbs. We served it up with a chicken roasted on the grill and some Jasmine rice. It was just about perfect. In a medium bowl whisk together all of the dressing ingredients until well combined. 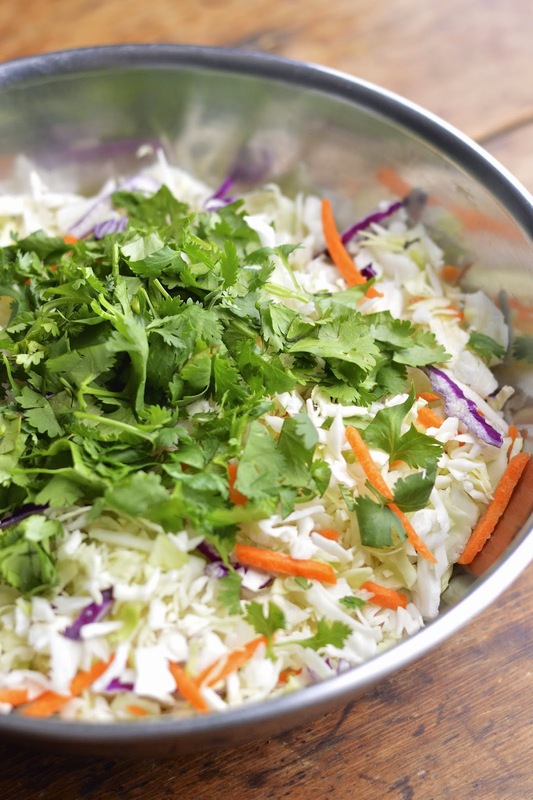 Add cole slaw mix and cilantro and stir until well combined. Adjust salt to taste. 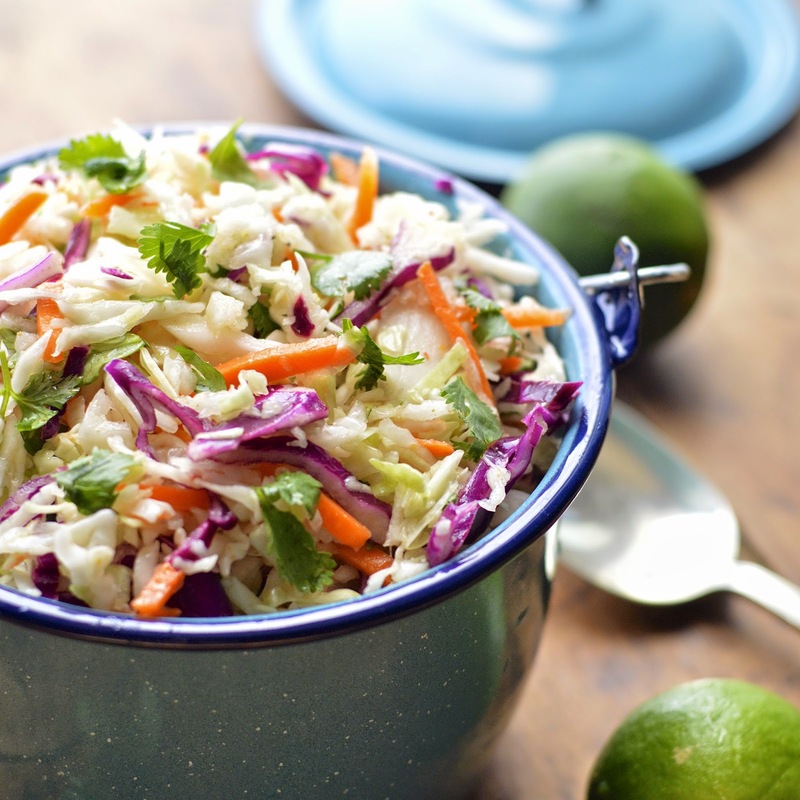 Refrigerate until ready to use (I like my slaw to sit for an hour or two in the fridge for all of the flavors to develop). 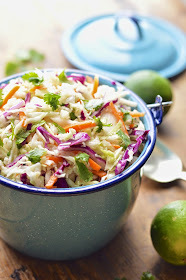 I made your Easy Sweet and Spicy Coleslaw ! My husband went crazy for it & had a bowl every night for four meals ! I ♡ it also ! BRAVO !